Our stainless steel wire cheese cutters (cheese slicers) are specifically designed for use in supermarkets, delis, and other commercial food service industries. 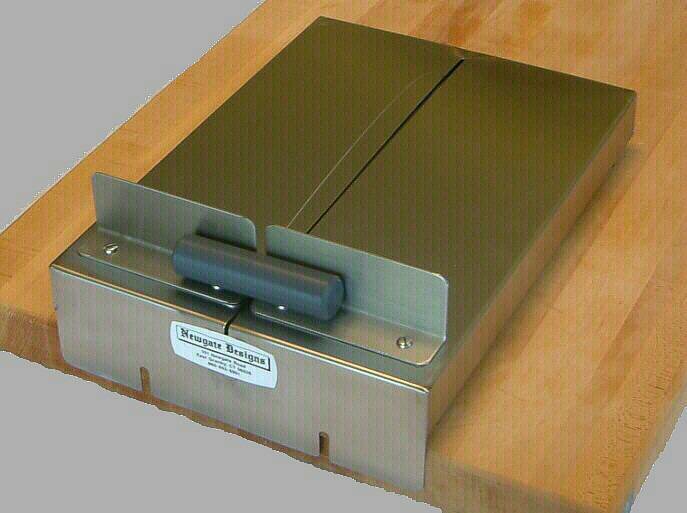 This rugged cheese cutter is counter mountable for stable operation and has a spring tension return for easy operation. The cheese cutting wire has an ergonomically designed handle for comfort. This cheese cutter was designed to last. Our cheese cutter wires are easily replaced by the end user and ship in packs of 12. All other major parts are easily replaced as well. Call the office for replacement part numbers etc. Dimensions are 13.5" x 10" x 4"
What Do You Call It? Cart or Carriage?